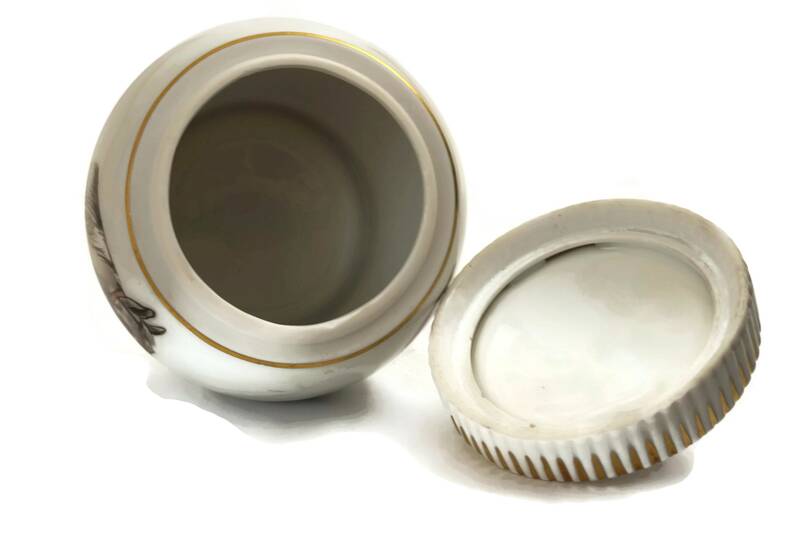 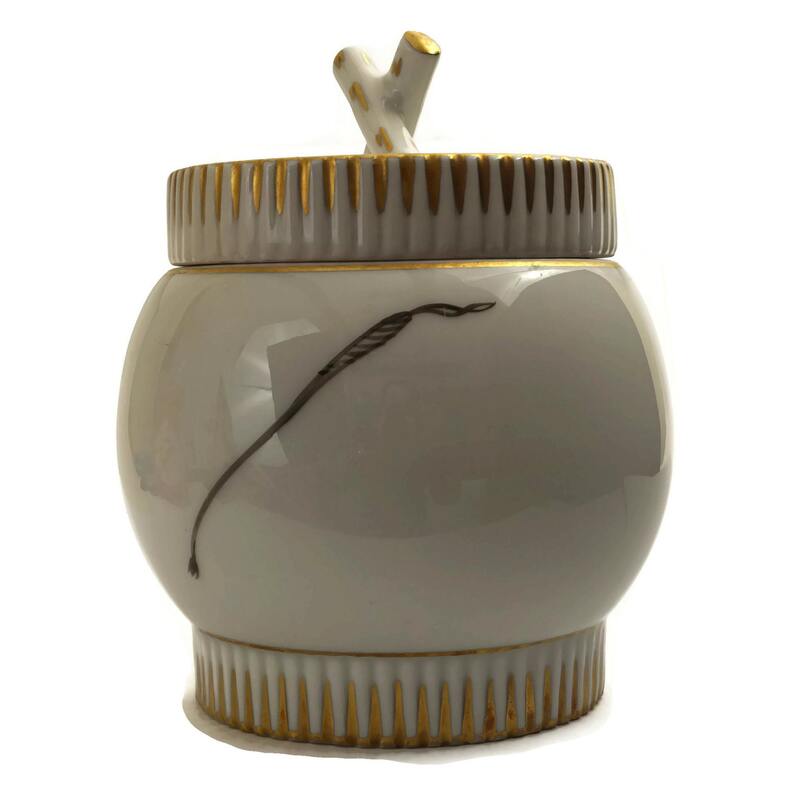 An elegant vintage jar made from fine Limoges porcelain. 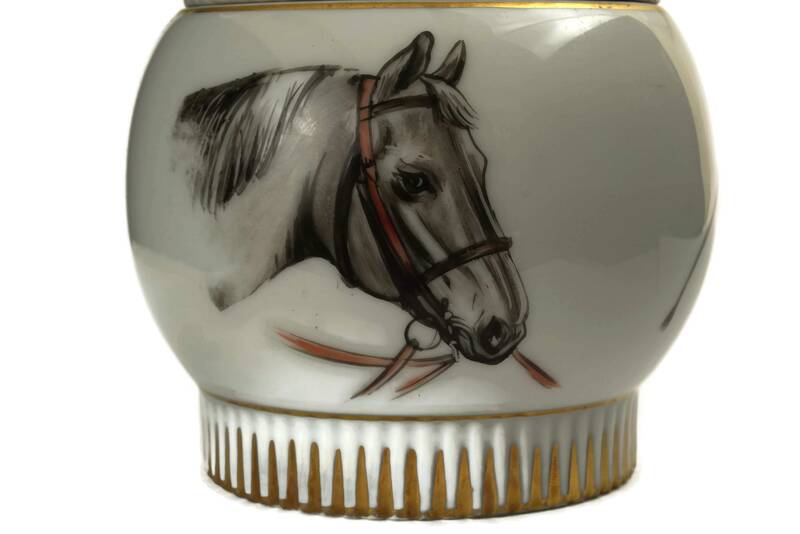 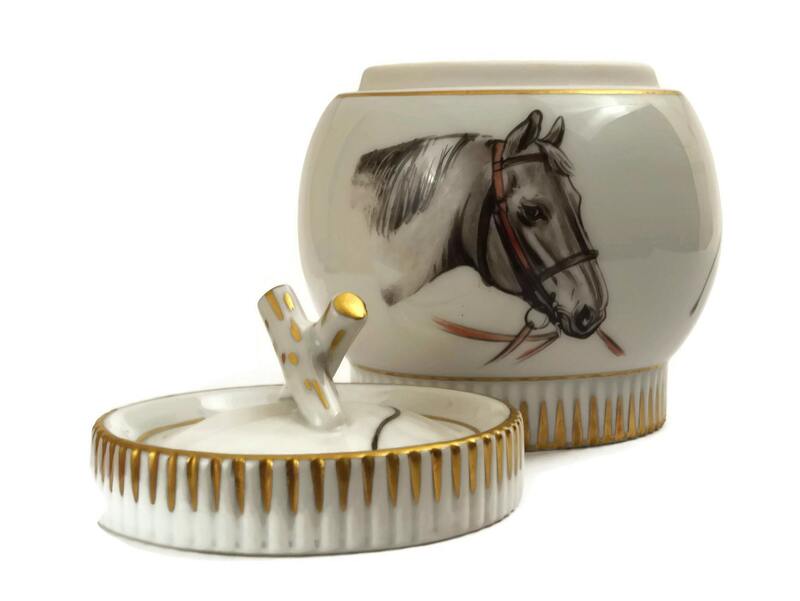 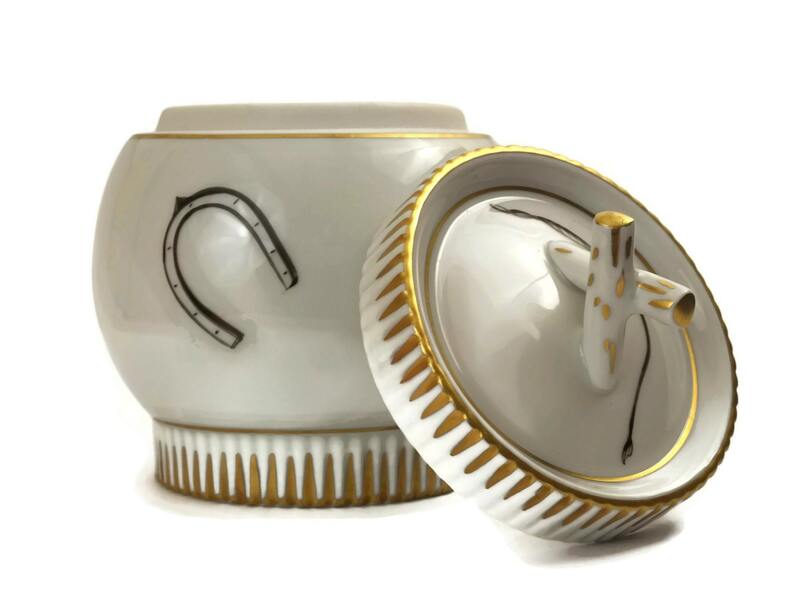 The lidded pot has been hand painted with the portrait of a horse and features stylish gold accents. 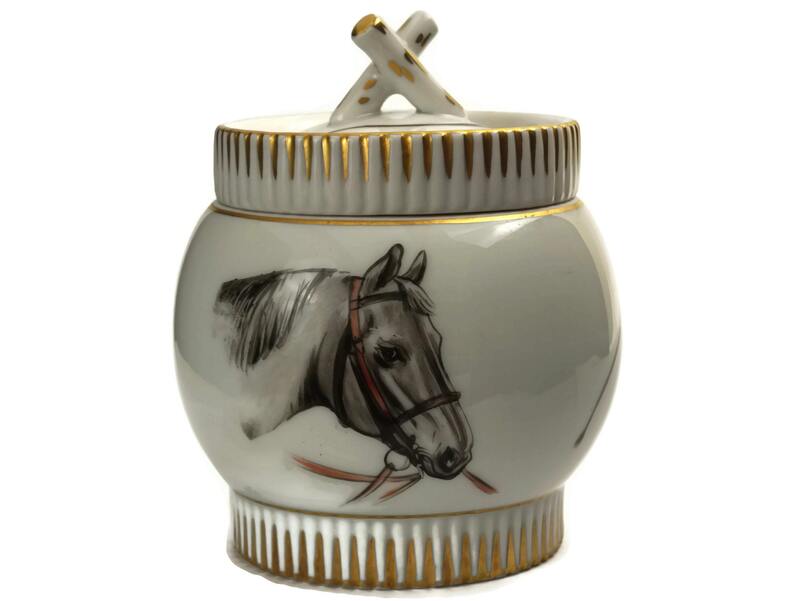 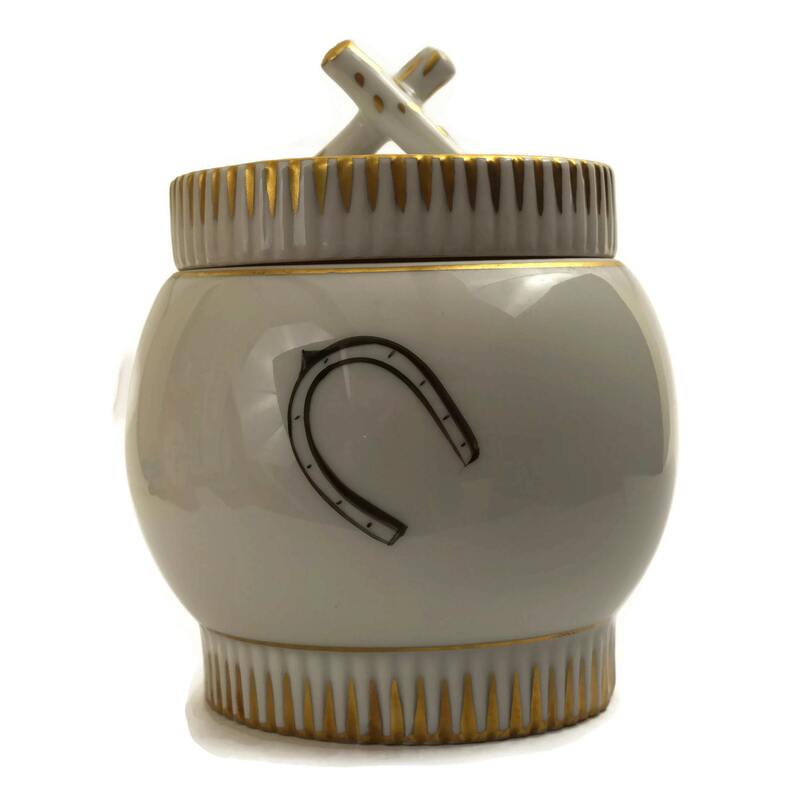 The sides of the small canister have also been decorated with a horse shoe and riding crop, making this a stylish equestrian gift. 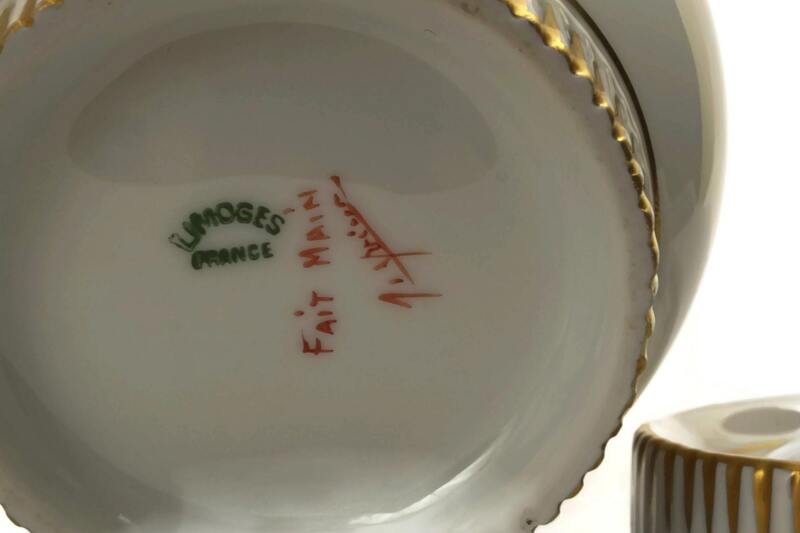 The underside has the Limoges maker's mark. 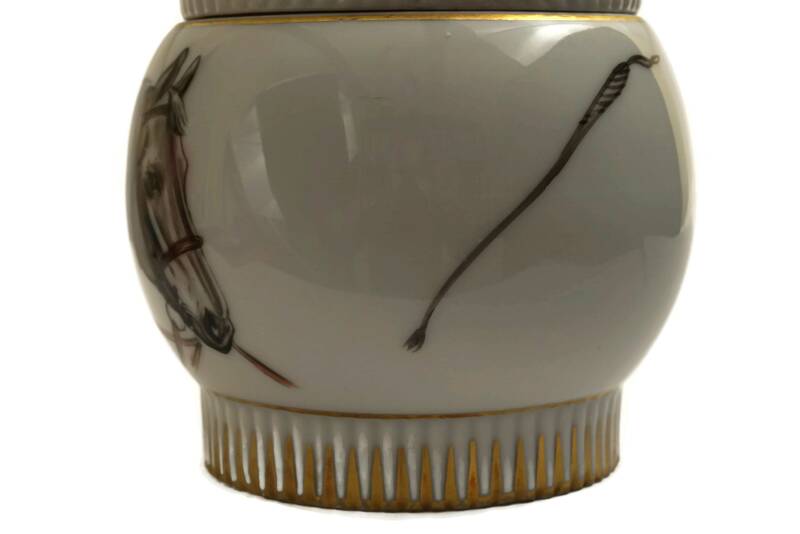 (13 cm x 9 cm). 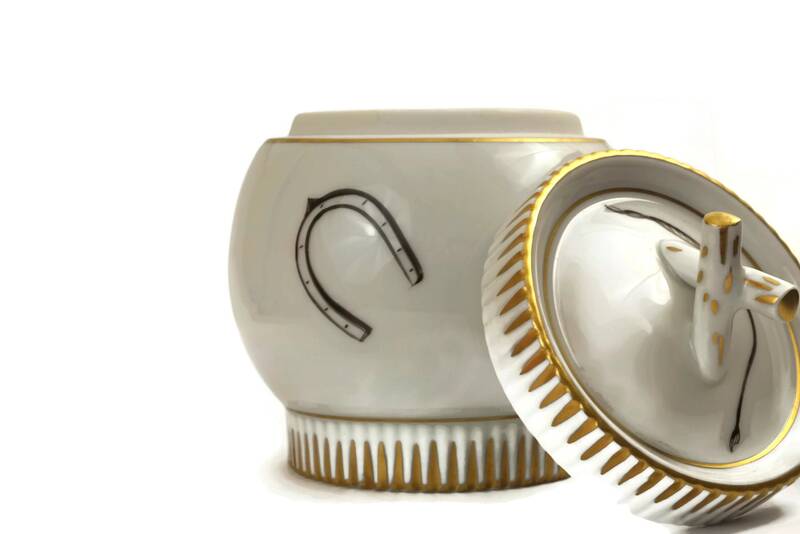 The Limoges porcelain jar is in very good vintage condition.